How can etailers handle the Christmas rush? Over the past year, we’ve seen a couple of examples of well known e-commerce sites being unable to cope with traffic spikes, mainly caused by sales. This time last year, Debenham’s website went down for around 24 hours thanks to the weight of sales traffic, while the Next website had to implement a queuing system in July thanks to a traffic spike. But what can online retailers do to avoid such problems? The consequences in lost sales and traffic could be serious, especially at this time of year, and customers will not necessarily wait in queues to get on, or until the site comes back to life; they will head for a competitor, as Hitwise stats suggest. How can retailers ensure that their websites will cope in case of unusual volumes of traffic? What should they do in advance to avoid this problem? In a nutshell it is all about planning, testing and communicating with your developers and hosting provider to ensure what you have in place can withstand the rush. An important question to ask is ‘what is the highest level of concurrent visits to the site?’ Armed with the predicted traffic, load testing can be used to demonstrate the sites performance through the busy period by simulating the user experience with varying levels of concurrent visitors. The results will advise how many users the site can cope with before the user experience is impacted and based on the results, the site’s codebase and underlying infrastructure can be adjusted and tweaked to maintain optimal performance during the busy period. The cause behind most web performance problems is a ‘network bottleneck’, which can be caused by anything from an overloaded server to an overloaded network. It can be prevented by making sure your hosting provider is able to scale up or down very quickly, depending on the expected site traffic. For example, a website selling Christmas trees will have dramatically more hits in December than in July – the site will need to be able to handle this seamlessly. Online retailers need to make sure their hosting providers can provide the flexibility needed. Another problem is that many e-tailers only have one server and don’t use load-balanced systems. Load-balancing is the process of distributing activity evenly across a network so that no single server is overwhelmed. It is especially important for networks when it’s difficult to predict the number of requests that will be issued to a server. Busy websites typically use two or more web servers so if one starts to get swamped, requests are forwarded to another server with more capacity. There are some free online tools available to test a website – such as www.loadimpact.com. These sites allow the e-tailer to enter the URL and run a free test to tell them how many visitors the site can handle. These tools can simulate behaviour right down to the shopping cart and anticipate situations like receiving ten times the normal level of traffic. The key to ensuring a site will hold up is to test it and fix it before the traffic hits. This is about two things: the bandwidth policy and traffic management of the hosting network they are on, and the actual hosting solution (servers) they have. Many networks are over contended, just like broadband providers who offer 8mb but actually deliver quite a lot less in reality. This all started when hosting providers offered unlimited bandwidth about four or five years ago. They never suspected that users would grow as quickly as they have, that broadband, Wi Fi, mobile would increase user demand for information in the way it has, or that video, audio and dynamic databases would become the norm. All of this has led to people using much more bandwidth than ever expected on networks that are not designed to cope. Resilience of solution is the second aspect. Just as Northern Rock collapsed in 2007 because it was not scaled for tremendous growth, Debenhams did not prepare adequately for the onslaught that the web would bring. Scaling your hosting for growth is very important, especially if you are in an industry that allows you to forecast how busy you might be. If they haven’t taken steps to deal with traffic and the site is struggling to cope, what, if anything, can retailers do to minimise the disruption? There is no single thing retailers can do as there are multiple solutions depending on their requirements and the situation they are in. For instance: scalable servers for rapid deployment, using sophisticated load balancing to off-load traffic spikes or utilising a CDN (content delivery network) to offset the load associated with the delivery of images and video. The key lesson is, work closely with your developers and a solution architect from your hosting company to ensure you have the optimal site for your requirements and understand where your limits are BEFORE they are hit. And last but by no means least, form a continuity plan to react with in the event that the limits are hit to ensure minimal disruption. If your site does encounter a problem and your web hosting company hasn’t called you, call them immediately. They will more than likely be aware of the problem and they will be the people to fix it. You should insist on a fixed timing for when they can get you back online, and ask if they’ll be issuing credit for the downtime. Website downtime is a disaster for e-tailers ahead of busy periods like Christmas, so if it does happen you need to make sure the process is in place to get you back online as soon as possible. A responsible hosting service provider will make sure this happens and will have a compensation policy that protects your business and ensures they have their own incentive to avoid shoddy service delivery in the first place. If retailers are struggling to cope and haven’t put anything in place, they may be able to do two things: access extra bandwidth there and then, but this will be difficult on an over contended network, or to bolt on extra servers that will load balance and/or direct the traffic to the closest data centre. For example, we have a large travel company client that keeps cookie information about its visitors, which this is then stored on a particular server, the one that is geographically closest to the user. This means that the system must always send that user to the correct server cluster in order to activate the cookie information and create the bespoke page. This is efficient traffic management. By efficiently directing users in this way, it creates the fastest experience for them. If a site is getting bombarded to a level where it is slowing down the experience, putting something like this in place will keep it as fast as possible for each user. 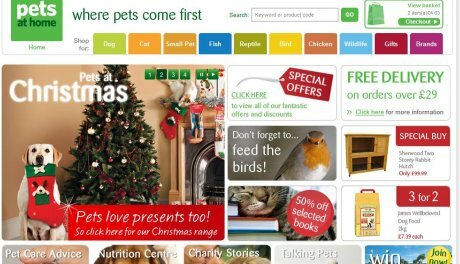 Pet products retailer Pets at Home launched a brand new website last week, a long-overdue revamp. The previous version of the website was a disappointment for such a well known retailer, especially as it was the obvious place to go online for things like fish tanks and cat scratching posts. So how does the new version of the site, which uses Salmon’s e-commerce platform, shape up? When Verizon went after wireless competitor AT&T with a “There’s a Map for That” commercial showing AT&T’s inferior nationwide 3G coverage in the United States, AT&T was caught off guard. Its response: file a lawsuit. 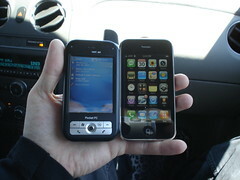 The justification: AT&T believed that the map was deceptive and that consumers would not understand that its map excluded areas where 2G coverage is available.